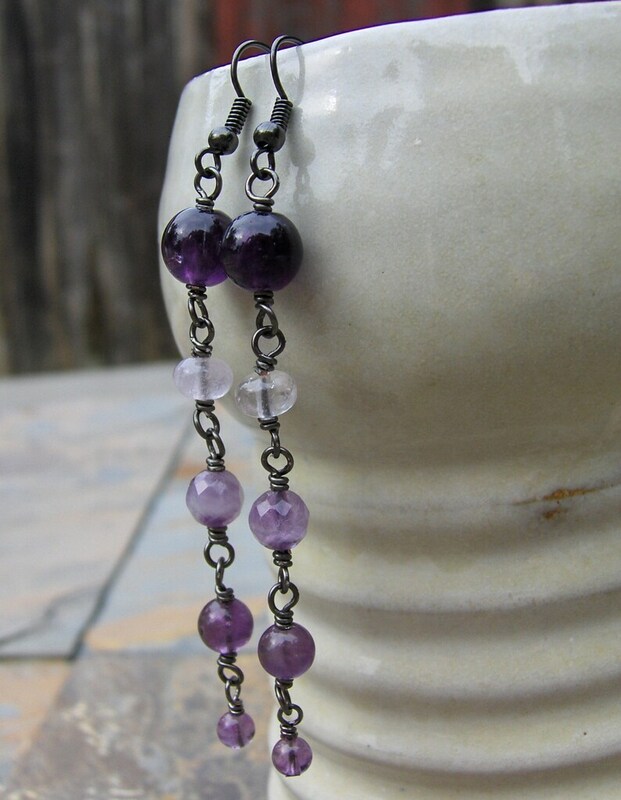 Five different amethyst beads make these swingy little purple earrings. I used gunmetal wire and hooks & the largest bead is 8mm, the smallest is 4mm. The big bead is a primo deep dark round, immediatly followed by a pale cape amethyst. The middle bead is a 6mm faceted chevron amethyst - which is a mix of amethyst and quartz. Next is a 4mm smooth round & finally a tiny lavender guy. These earrings are lightweight and measure just a hair over 3". Amethyst is the birthstone for the month of February & is full of healing and protective energies.